As a result, a serious rift has developed within the hosts, miners, renters, and contributors of the Sia community because Bitmain released their A3 miner in a disruptive and secretive manner. At the time, Nebulous was working on a hard-fork to prepare for a difficulty adjustment just weeks prior to the Bitmain release. If Bitmain had released their machines a month earlier, they would have activated the scheduled hard-fork earlier than expected, which would have led to significant network issues. Transparency is important for the security of the network. When the landscape of an open-source project changes in such an unexpected manner, the community of active contributors rightfully becomes upset. Unfortunately, for many members of the broader blockchain community, Bitmain’s tactic was no surprise. In early 2017, it was discovered that Bitmain included a controversial technology called ASICBoost in their chip. Holding ASICBoost patents in China allowed Bitmain to operate in a non-market environment by using government regulation to garner a competitive advantage and maintain their ASIC monopoly. Bitmain used ASICBoost in a covert way, which is undetectable by the network, and is incompatible with Segregated Witness, a soft-fork that enabled upgrades to the Bitcoin protocol that is heavily supported by the Bitcoin community. Bitmain largely opposed this soft-fork and stalled upgrades to the Bitcoin protocol. During that time, however, they actively supported forks where they could have more influence, such as Bitcoin Unlimited and Bitcoin ABC, which later converged to become the much-maligned Bitcoin Cash. While pushing for favorable Bitcoin forks, they continued to attack Bitcoin by mining empty blocks. Bitmain operates AntPool, which is a popular mining pool most likely because it is configured by default on all Bitmain machines. AntPool gets a slight advantage in mining speed because of their repeated mining of empty blocks. Ultimately, that minuscule advantage for AntPool and Bitmain comes at the cost of thousands of transactions that are left unprocessed, and many consider it to be an attack on the Bitcoin chain as that block is wasted and practically useless, aside from giving miners a blockreward. The CEO of Bitmain, Jihan Wu, was unapologetic on Twitter replying, “Sorry, we will continue mining empty blocks. This is the freedom given by the Bitcoin protocol.” This is not only selfish but a clear attack on the Bitcoin network. While it is technically true, it’s also true that a united community is free to reject miners who slow everyone else. Bitmain also chooses not to reveal their batch numbers or live sales figures. At the launch of a new ASIC sale, profitability calculators wrongly present miner profits since the difficulty increases dramatically. Bitmain uses that to their advantage to maximize sales on their units. For example, Bitmain didn’t release the number of Dash miners they were selling in the batch. For early buyers, it seemed like a great deal, but had they known the actual sales numbers, they would have realized that Bitmain was selling so many machines that buyer’s profits would be negatively impacted. In their drive to maximize profits, they externalize costs to blockchain communities. However, communities are not obliged to accept this. Already, the Sia community is concerned with the prospect of Bitmain behaving maliciously by either mining enough empty blocks to disrupt the Sia network or by performing a 51% attack. Should this occur, the Sia community would undoubtedly come together to demand a fork and invalidate Bitmain’s hardware. However, forks take time, and any enterprise users already utilizing the Sia network would be disrupted. The credibility of Sia as a safe, reliable form of enterprise storage would be irreparably damaged. Before drafting this letter, we talked to diverse blockchain core community leaders and projects, like Monero and Bitcoin Core, for feedback and advice. The majority agree that Bitmain’s monopolistic and secretive tactics put a strain on the many positive things we’re trying to create together. While not everyone signing this document is affiliated with Sia, they all have witnessed Bitmain’s actions and are willing to speak out. The A3 announcement has been divisive for our community. Some see this as simply competition, while others view it as a direct attack. It is hard to tell who has financial conflicts of interest, as some have purchased Obelisks while others have purchased A3s. The core team spoke with members of the contributors channel, an active and public Discord group made up of the long-term, key participants of the community. Approximately 65% of the contributors channel want to fork, but others strongly feel that this is a free, decentralized market and should be allowed to function as such. We must send a clear message to Bitmain that as smaller blockchain communities grow, it is not an open invitation to enter for a cash grab with zero participation and communication. As the Sia protocol is young, there will be many upgrades in the coming months. These may come as soft or hard-forks. In previous cases, Bitmain was found to be utilizing their hash rate to slow down other core team’s ability to innovate on top of their blockchain. We want to avoid this happening to the Sia network. The broader blockchain community outside of Sia has also shown support in sending this message to Bitmain, whose predatory strategies prevent useful competition from rising. For these reasons, we plead with the Nebulous team to reconsider their position on avoiding a soft-fork to the Sia ecosystem. Miners play an important role in the blockchain ecosystem because they provide a service that strengthens the security of the blockchain. Miners are not required to be benevolent, nor are communities required to accept disruptive miners. This is a balancing act that requires an active community to maintain. The community and Nebulous team asked ASIC manufacturers to reach out to us before working on any ASIC project. Updates to the difficulty adjustment algorithm are often necessary before ASICs are released, which is why it is imperative to reach out to a coin’s development team. It’s important to ensure that the network is ready for ASICs at the time of shipping. Bitmain called the S9 a Bitcoin Miner, the L3 a Litecoin Miner, the D3 a Dash Miner, but called the A3 a Blake2b Miner, not a Siacoin Miner. The only cryptocurrency that uses the Blake2b hash function is Siacoin. The likely reason that they did not call it a Siacoin miner is because they were aware of a possibility to fork and guessed our community would be unhappy about their surprise announcement. They chose to sell these devices to you anyway. By not selling the A3 as a Siacoin miner, you may have no recourse for refunds. The Nebulous team announced the potential for a fork, but Bitmain decided to reopen A3 unit sales regardless, with sales reopening every hour, fully aware that their hardware may be invalidated on the Sia network. We are sorry that you are caught in this mess. Since we are advocating for a soft-fork in late spring instead of immediately, you should be able to make a profit on your purchase despite the unfortunate developments. We want a unified, open community that works together. Are you willing to adhere to the following guidelines? The Sia community wants to establish guidelines for miner participation in the Sia network. Sia needs miners, but only miners who are conducive to Sia’s core function. As a community, we want governance of the Sia protocol to be decentralized, which is essential to maximize growth. The Obelisk team took the lead on this months ago, with careful steps to ensure that hash rate is as decentralized and distributed as possible. The guidelines we are proposing are simply an expression of shared values across community members that have been implemented by the Obelisk team since June. In fact, we advise other cryptocurrency communities to implement similar guidelines. We recognize that not every tenet is enforceable, but it’s something to strive for in order to create transparent standards to the benefit of every stakeholder involved. Manufacturers of mining hardware shall display their batch count, or if it is an open order, live order counts, to allow miners to properly evaluate their investment. Manufacturers shall publicly announce the actual amount of hash rate produced and how much hash rate they intend to keep for themselves (x% of network hash rate) and not go over the declared amount. Manufacturers shall not attack the network in any way, such as mining empty blocks or 51% attacks. Manufacturers shall not reject upgrades, such as soft or hard-forks, that have widespread community and developer consensus. Manufacturers shall make a proactive effort to ensure that no one, including themselves, has physical access to, remote access to, or legal ownership of more than 50% of the network hash rate. We request all pools have publicly accessible APIs that report their hash rate and blocks accurately. Manufacturers shall be open regarding pool choice. Manufacturers shall either not configure any single pool by default, or they shall show a selection of at least five independent pool options. When less than five pools exist, then all available are shown. If miners or manufacturers are in violation of these parameters, we as a community pledge to take action and reject their services to the Sia network. In support of these guidelines, we will continue to make an effort to reach out to Bitmain and others, both privately and publicly. Regardless of whether a fork happens, we want to see our ASIC Manufacturing Guidelines implemented and upheld by the Sia community. We hope this letter sends a clear message to Bitmain and the rest of the blockchain community that we stand united in this vision. 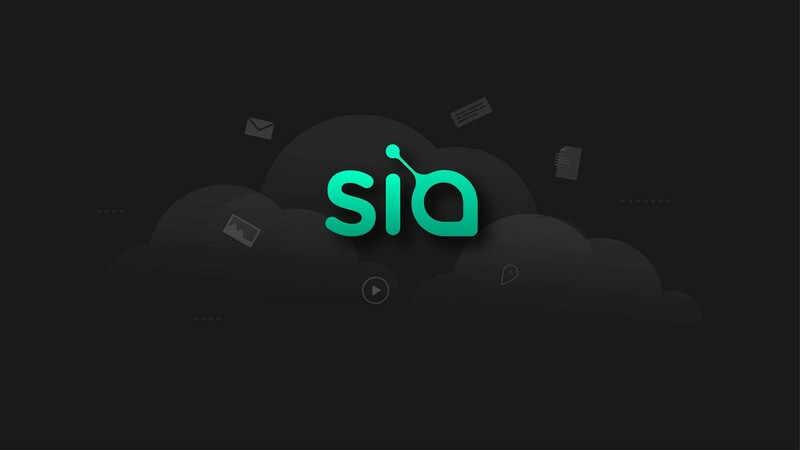 We are opening this petition to members outside of the Sia community. If you agree with this open letter, we ask that you sign and show your support.